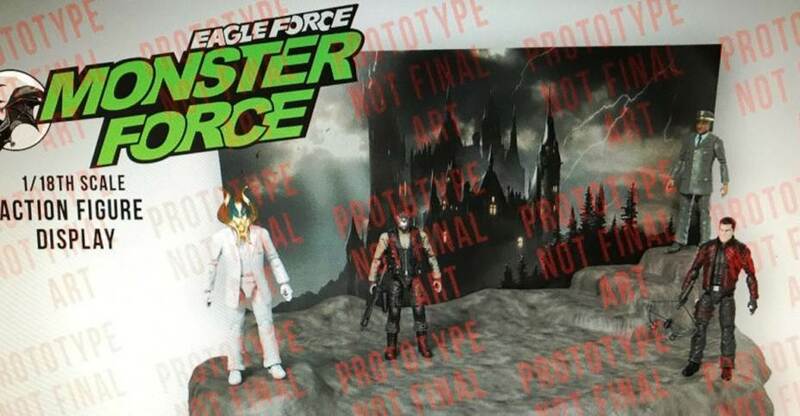 By way of the Action Figure Junkies Facebook Group comes our first look at an Eagle Force: Monster Force display! The backdrop is perfectly frightening and looks just as awesome as the Eagle Force display that we shared yesterday. 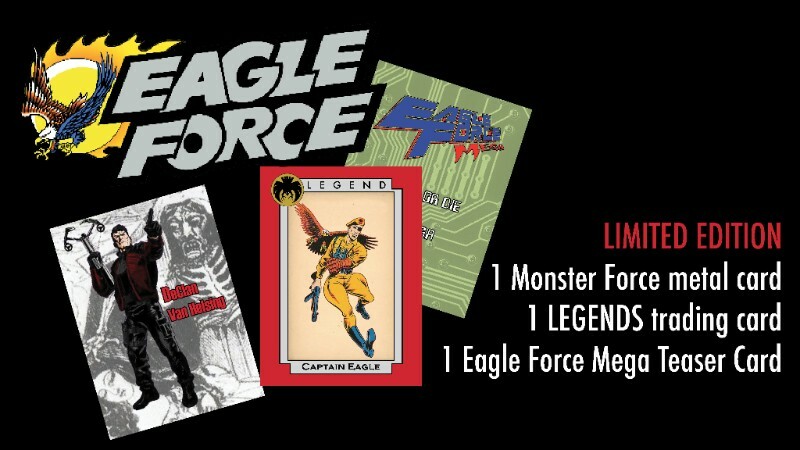 As the image doesn’t appear on the Eagle Force Returns facebook page, we’ve reached out to our friends at Fresh Monkey Fiction to verify the legitimacy of this image and to confirm who the 4th figure in the image is.